Lauren and I have some friends in town this weekend. Thought this would be a great opportunity to continue our quest for the best burger in America. Had seen the restaurant Gordon Ramsay BurGR pop up on lists and you can’t help but see advertisements for it around Las Vegas. We just had to try it. So, I went on their website. It gave me a number to call for reservations. I called to get transferred to 3 different people, to inevitably find out that they don’t take reservations. Bummer. 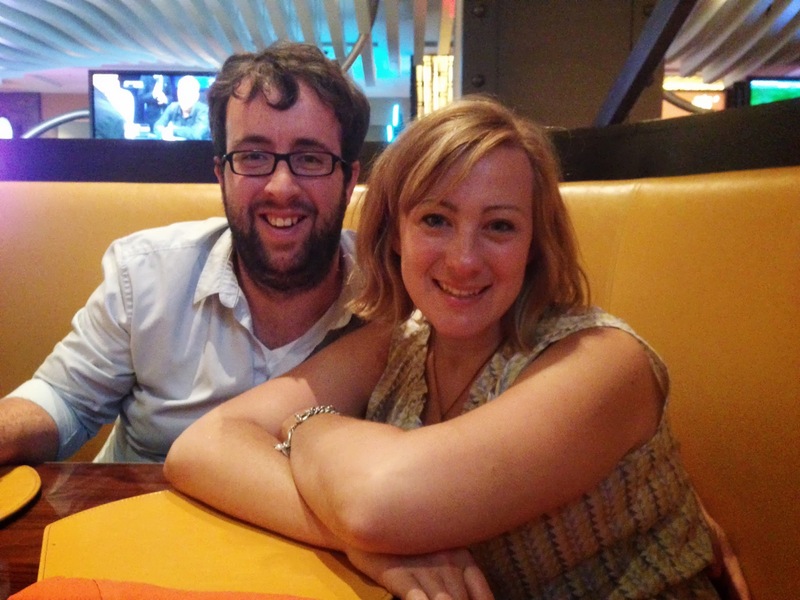 On Friday night, we embarked towards Planet Hollywood. There was bad traffic around the strip. It was the Friday of a holiday weekend. We eventually found self parking and found our way through the maze of the Miracle Mile shops and the wannabe modern Planet Hollywood Casino. It ended up being about an hour and a half wait to get a table, which was fine. We got some drinks. We wandered down to the Bellagio, watched the fountains, and admired their indoor garden. Eventually, we got the magical text that our table was ready. 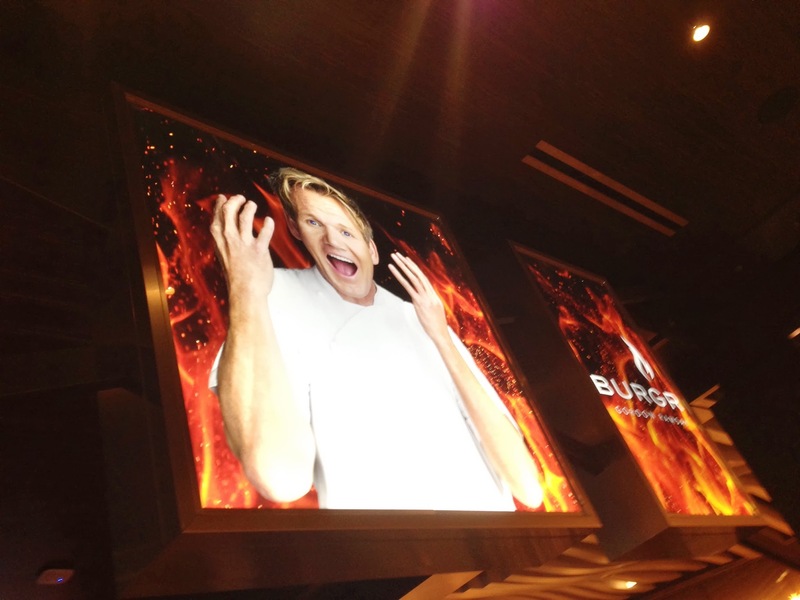 The first thing that you notice when you walk into BurGR is pictures of Gordon Ramsay (see below) and fire everywhere. His initials are also emblazoned everywhere, including the waiter/waitresses overly short and tight uniforms. The narcissism is slightly annoying but you get over it once the food and drinks come out. The drinks menu was a vintage iPad, which was interesting. The beer list had craft beers, which was great but were all fairly mainstream craft beers. The waiter pointed out that Innis & Gunn was Gordon’s favorite beer and that it aged in a combo rum/whiskey cask. Decided to give it a shot. I really enjoyed it. Had a lot of great flavor. On to the main event… I ordered the Farm Burger. I was initially waffling between the Euro Burger and the Farm Burger. The waiter told me the Farm Burger was his favorite. It was a half pound burger, sharp cheddar cheese, duck bacon, and a farm fresh fried egg. It was delicious. Oh and it was one of the first times I’ve ordered a burger medium at a restaurant and it actually came out medium. It was delicious. Net net… I really enjoyed Gordon Ramsay’s BurGR. 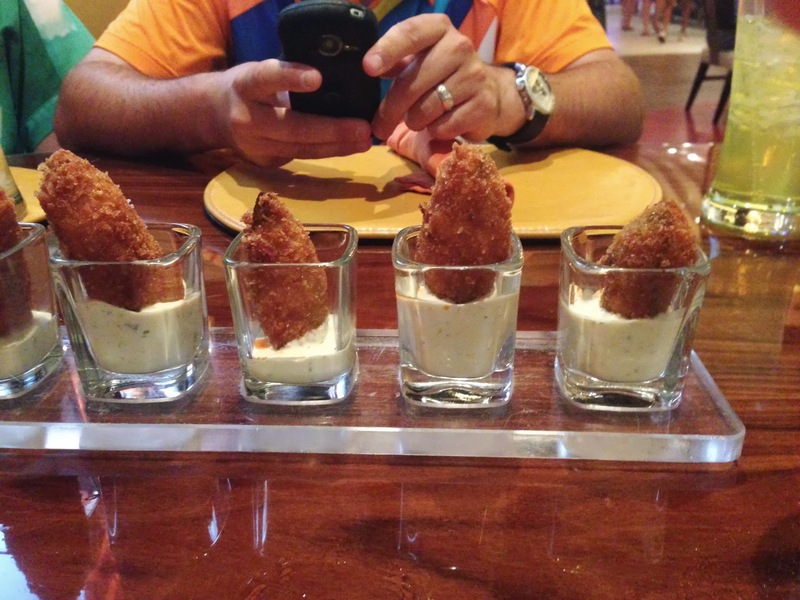 The wait to get in and lack of reservations was slightly annoying but once we sat down, I really enjoyed everything. Plus for what you’re getting, the prices aren’t too bad. It’s cheaper than some of the other “high end” burger places in Las Vegas. Previous Previous post: It’s too hot in Vegas to wear pants.